You must start your sketch with a fresh sheet of paper. You may wear earbuds/ headphones. You may bring in reference material for your sketch which may include photos, magazines computer, phone etc. No computers or photocopiers can be used for in the sketchbattle. As of now, all sketches must be done manually WITHOUT computer. No printers/ scanners are available. All work created at the sketchbatle remains property of the Middlecott Sketchbattle Experiment. This work can be used in any way the MSBEXP sees fit. All credit will be given to the designer. Any example of your work sent to MSBEXP may be used in the MSBEXP social media. All credit will be given to the designer. 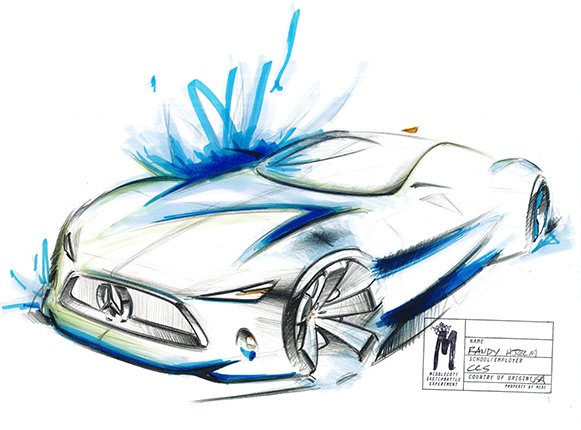 Designers must bring all of their own materials to create their sketch.